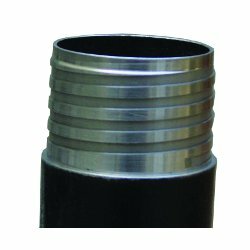 Thin wall diamond core bits are designed for drilling through reinforced or plain concrete, masonary drilling, marble, granite, concrete drilling and other hard materials to fulfill the needs of engineers, builders etc. 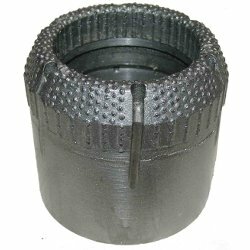 These bits are ideally suited for extraction of test cores in concrete, highways, runways, concrete columns, reinforced concrete walls and floors etc . Test core of various diameters can be obtained using UEW thin wall diamond core bits. 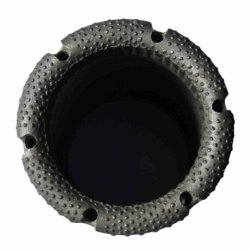 Thin wall diamond core bits or concrete core drilling bits are designed for drilling through reinforced concrete, masonary drilling, bitumen, marble, granite, concrete and other hard materials to fulfill the needs of engineers, builders etc. 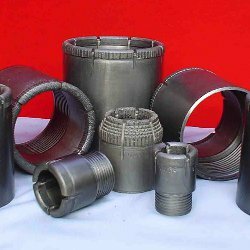 These bits are ideally suited for extraction of test cores in concrete, highways, runways, concrete columns, reinforced concrete walls and floors etc . Test core of various diameters can be obtained using Universal Engineering Works thin wall diamond core bits. Both surface set diamond core bits and impregnated diamond core bits are available. Both surface set diamond core bits and impregnated diamond core bits are available. 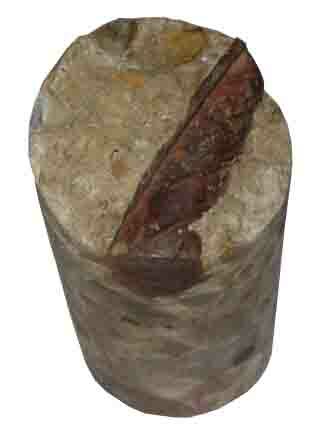 These thin wall core bits are also know as masonary diamond core bits. The narrow kerf of these bits gives a fast rate of penetration. Sufficient coolant must be circulated to remove cuttings and keep diamonds cool while drilling. 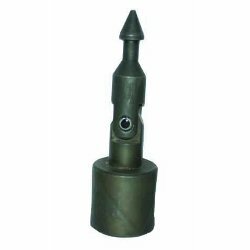 Thin wall diamond concrete drilling bits can also be supplied with extension core barrels to suit customers requirements. 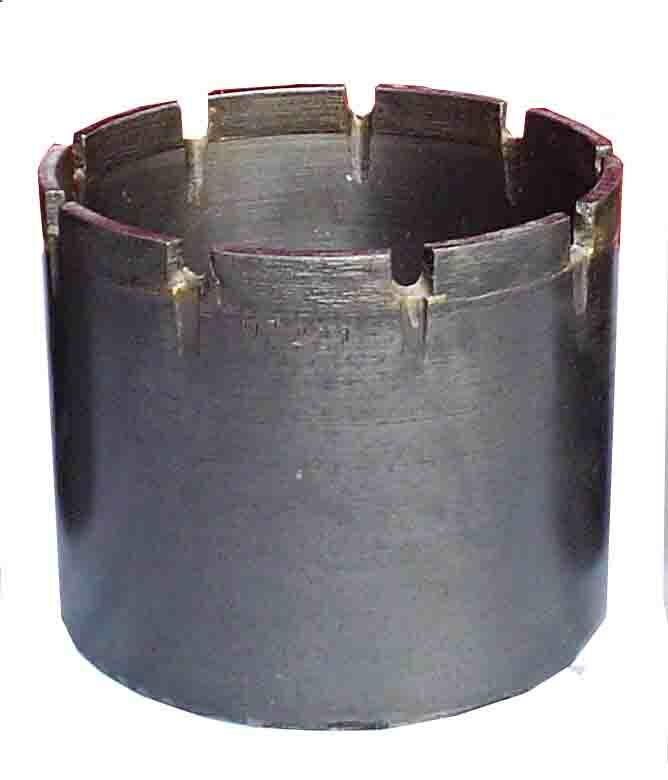 Standard sizes of core bits which are available are: 1" (25mm) , 2" (50mm) , 3" (76mm) , 4" (100mm) , 6" (150mm). Universal Engineering Works, also undertakes retipping of diamonds on existing used core barrels thus saving the cost of procuring new core barrels all the time.